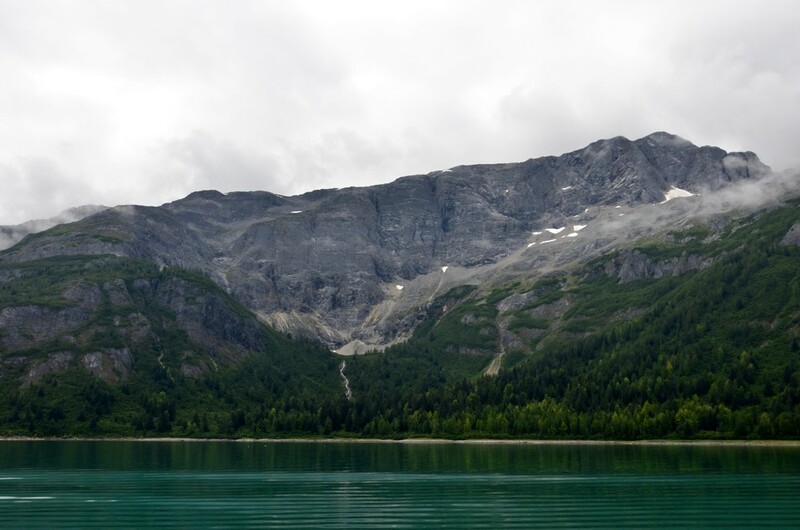 Time to leave Glacier Bay National Park. We haven’t seen it all—not by a long shot—but we must move on. Tiffani and Deke fly out of Sitka, and Anna and I need to start heading south to be in Seattle the first week of September. 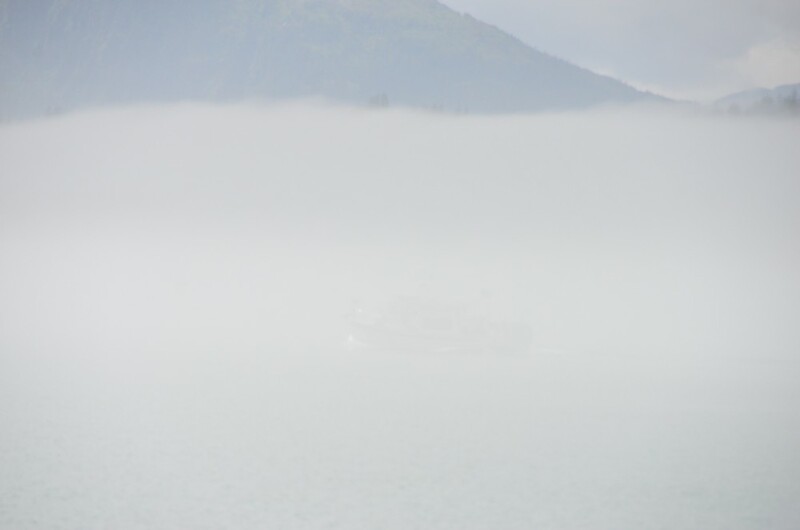 Weather today was, at times, like the first day in Glacier Bay, but not quite as rainy. I suppose the dreary weather makes it easier to move on. Foggy. A quarter mile from Airship. 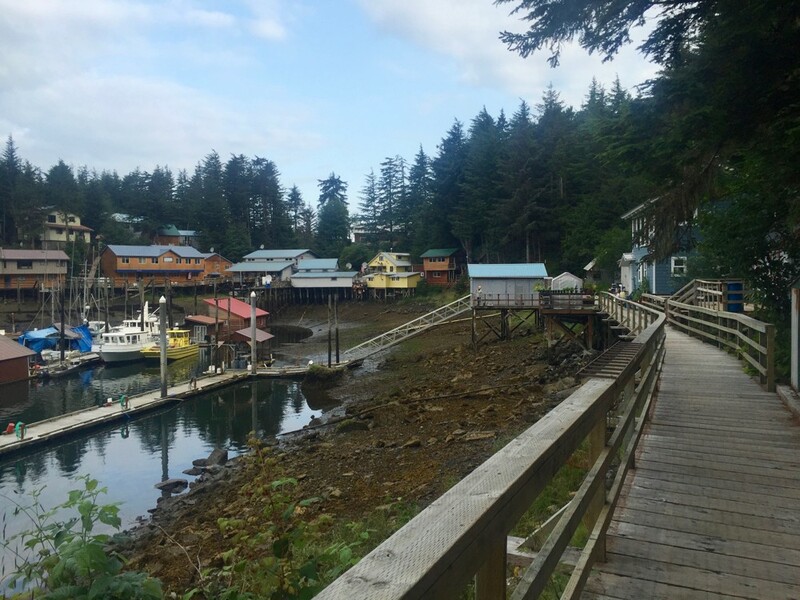 Our destination today is Elfin Cove, a tiny community on northern Chichagof Island. Elfin Cove is all boardwalk. That’s right, no roads, just boardwalks. It’s primarily a summer sport fishing community. Lodge after lodge line the shore, seaplanes constantly drop off and pick up guests, and small fishing boats leave in the morning and come back in the afternoon packed with fish and happy anglers. There’s also a small store, a restaurant and bar, and a fuel dock. Unfortunately nobody had a spare Yamaha fuel connector for sale, but I did borrow a fuel line from someone else to confirm that my diagnosis. 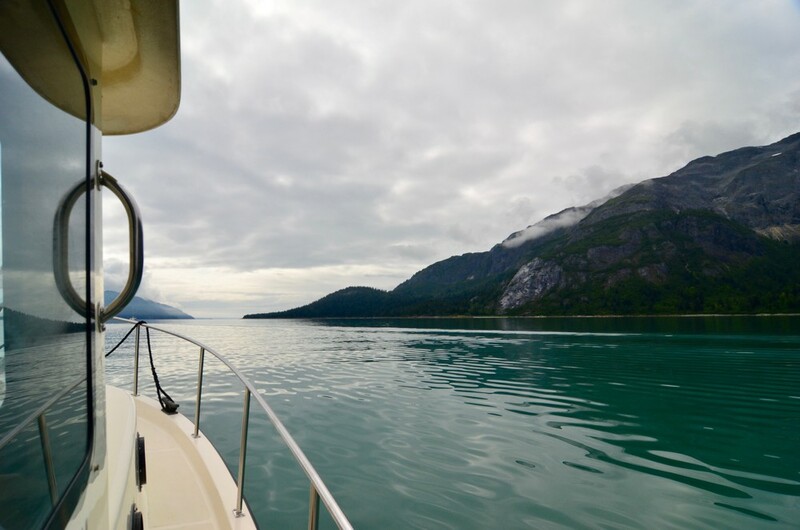 Today is Sunday, so the parts place in Juneau isn’t open, but I’ll call them first thing tomorrow morning and have them put a new fuel line on a floatplane to Pelican, our next destination. Speaking of next destinations, here’s the plan: tomorrow we’re heading to Pelican, then to the outside of Chichagof Island for several days. From there Airship we’ll head down to Sitka to drop Tiffani and Deke off, and Anna and I will head through Peril Strait and start the trip home in earnest. The weather forecast looks good, and I’m excited to see some new territory!